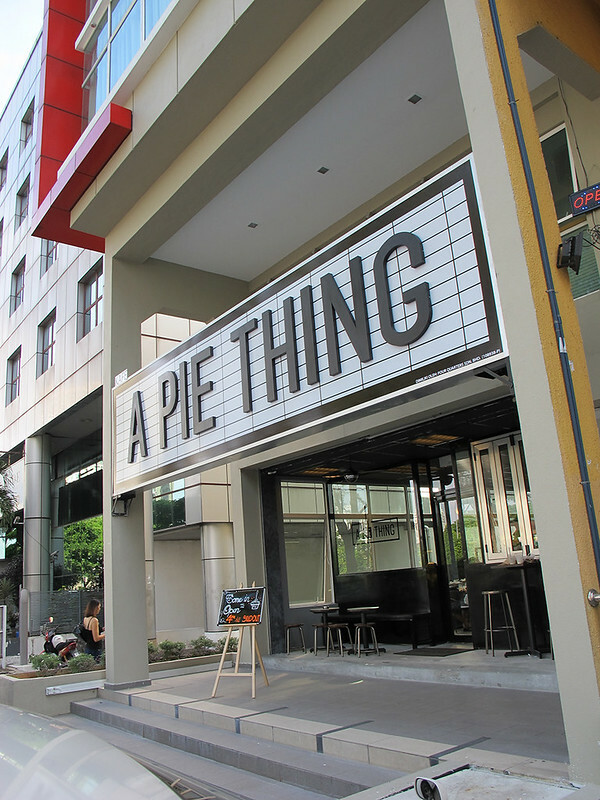 “A Pie Thing” is a restaurant that opened in Damansara Utama recently. By the sound of the name you should already know that they specialise in pies. 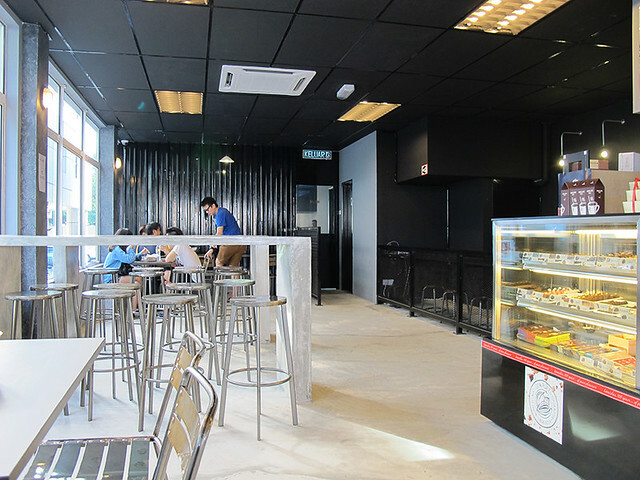 The restaurant is located along the row of shops facing the Damansara-Puchong Highway (LDP). # – “A Pie Thing”. 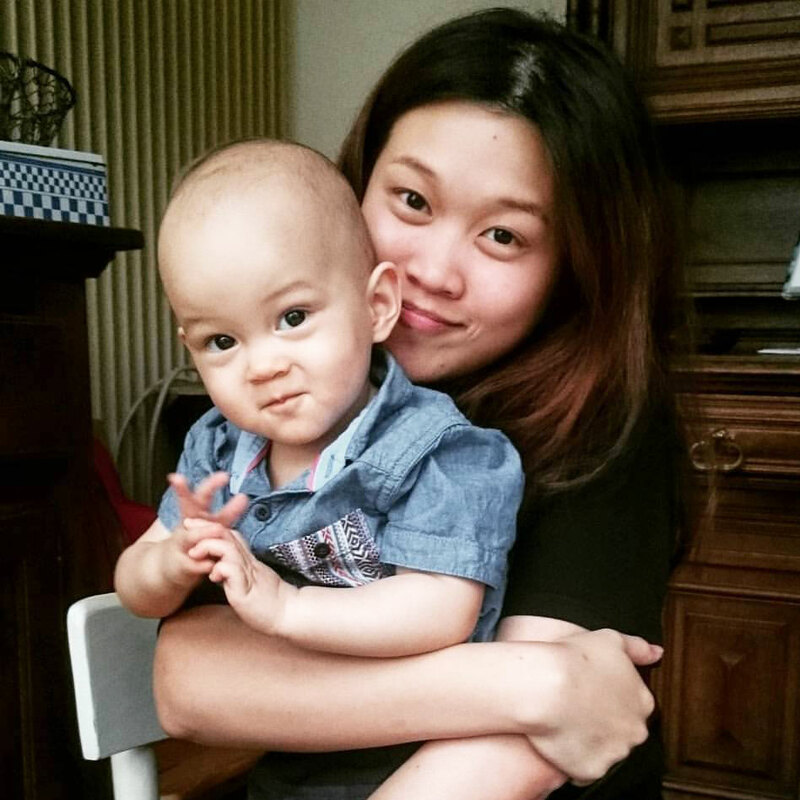 While there is no halal certification, the restaurant does not serve alcohol or pork. There was one tip I read on Facebook that stated the chicken and the beef used are from legitimate Halal suppliers. How true, I do not know. 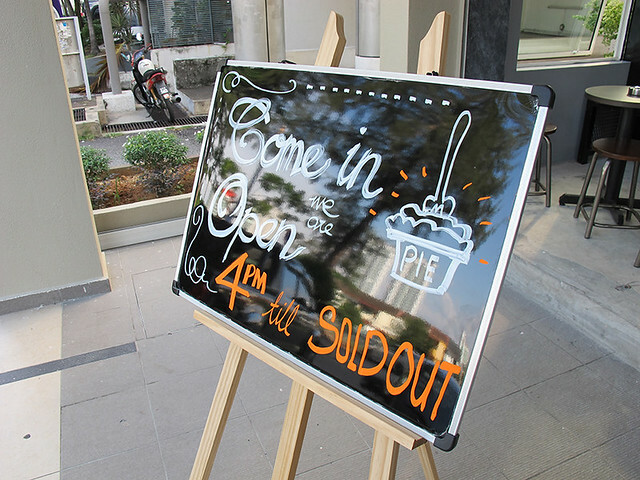 # – Open from 4pm until pies are sold out. 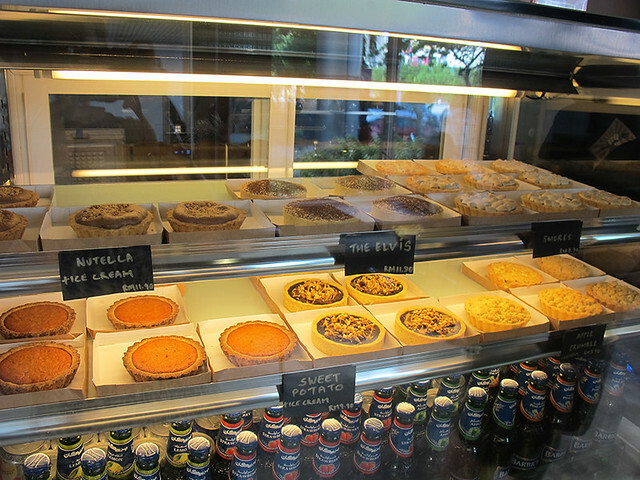 There are a variety of pies both savory and sweet. # – Savory pies: chicken + mushrooms, lamb, beef, spinach + cheese and others. # – Sweet pies: nutella, smores, sweet potatoes, apples and others. 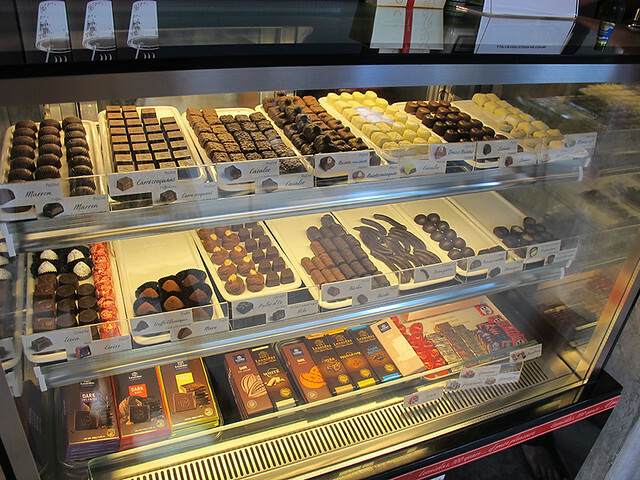 # – There is also a counter selling chocolates! Decor in the restaurant is quite simple but still comfortable. # – Modern and simple. Ok, what about the taste of the pies in “A Pie Thing”? Frankly, VERY TASTY! 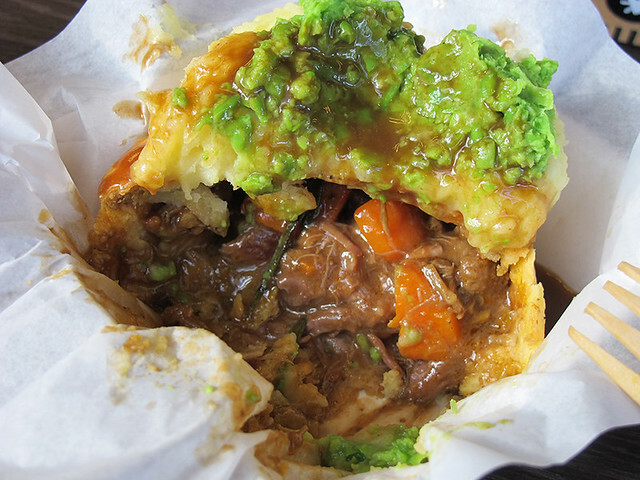 Crispy, short pastry with strong aroma of butter and savory fillings! 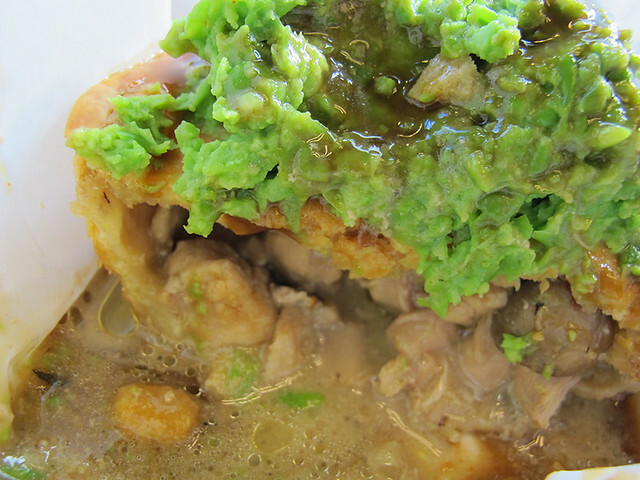 The mash and mushy peas were also very tasty (I am particular and make my own mushy peas at home :P). 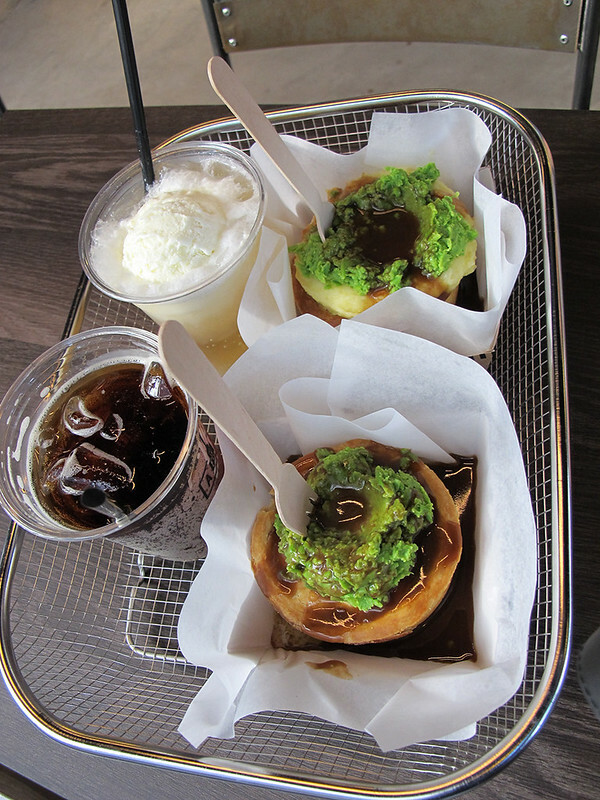 You can order the special combo called “The Mashacre” which includes a savoury pie, mash, mushy peas, gravy and a drink. They also serve a variety of coffees and teas. # – I ordered a chicken + mushroom pie while G ordered steak pie. Delicious! # – I was there! # – The inside of steak pie. # – The inside of chicken + mushroom pie. 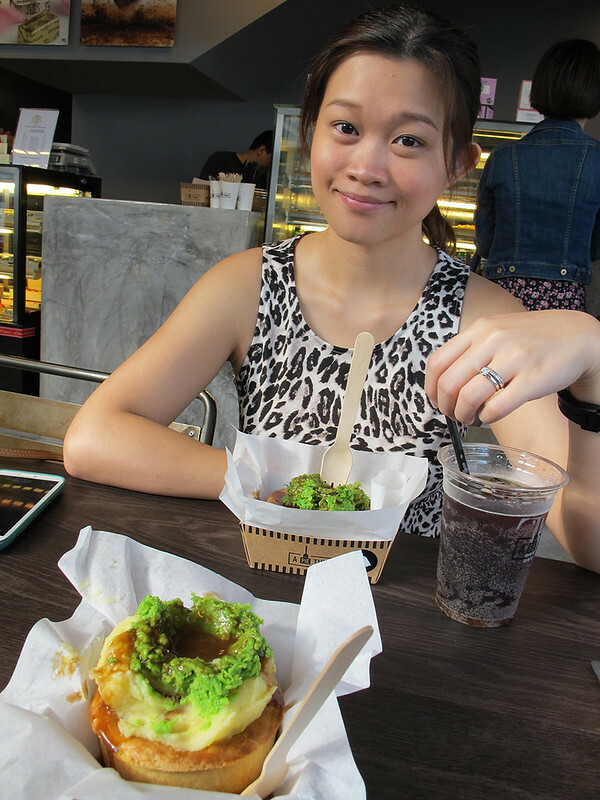 Of course, it’s a must to try the dessert before leaving. 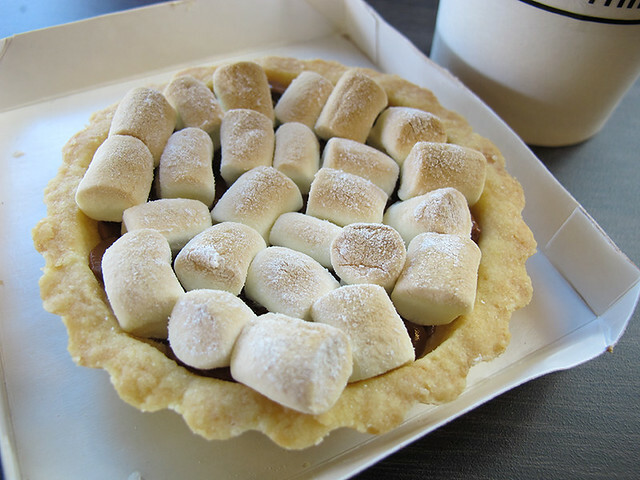 We ordered smores pie (chocolate with roasted marshmallow). We love “A Pie Thing”. 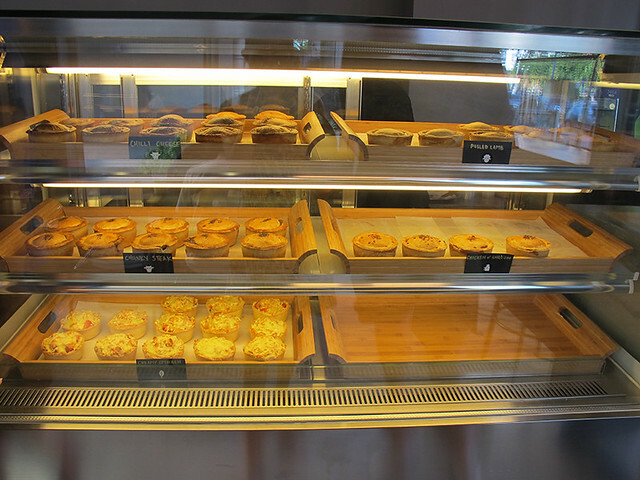 It’s really hard to get good pies in KL/PJ, the pastries were often soggy or too hard or had uninspiring fillings.